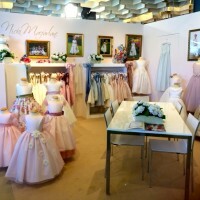 Nicki & Charlotte are currently exhibiting at the Pitti Bimbo Designer Children's Wear Trade Show. For more information see our blog here. This entry was posted in Events & Shows. 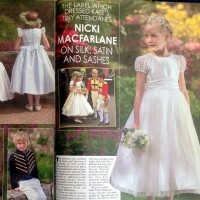 Nicki Macfarlane in Hello Magazine…. We are thrilled that an interview with Nicki Macfarlane is featured in the new Special Wedding Edition of Hello! Magazine. For further information click here. This entry was posted in Interviews & Features. Nicki's Granddaughter made her First Holy Communion last weekend. 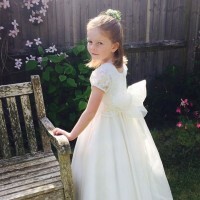 Click here to see the blog for details of her beautiful dress. This entry was posted in First Holy Communion.